NEPTUNE, New Jersey (WABC) -- Rescuers in New Jersey saved a group of ducklings who had become trapped in a storm drain. The 11 birds were stuck in a drain at the corner of Highland Ave and Valley Road in Neptune Sunday afternoon. 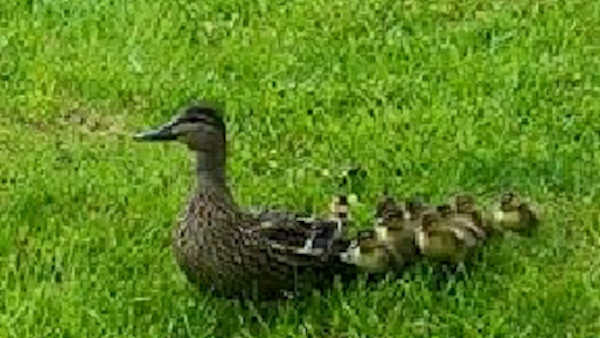 Residents noticed the mother of the ducklings was in distress and contacted authorities to get the drain covers removed. Police say rescuers - including police, the Department of Public Works and the Humane Society - had to climb into two storm drains to lure the ducklings into nets. All the ducklings were rescued unharmed and returned to their mother.